I Don’t Know Lyrics from Bharat Ane Nenu is a Telugu song feat Mahesh Babu. It is sung by Farhan Akhtar and composed by Devi Sri Prasad while its lyrics are written by Ramajogayya Shastry. I don’t know o yeah! 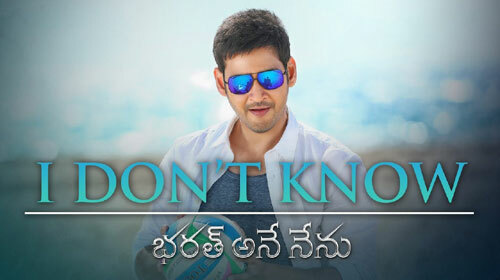 If you find any mistake in lyrics of I DON’T KNOW LYRICS – Bharat Ane Nenu | Mahesh Babu song please let us know in comments.